The Aerospace and Automotive industries have relied on us for years to bond custom Precision Board Tooling Board tooling blocks for their unique composite layup tooling needs. From small and simple to large and complex, we offer fast turn around and competitive pricing on custom tooling board blocks. We can take the guesswork out of building your composite lay up tool. Working from a CAD drawing of your tool, we’ll design and fabricate a custom block using Precision Board that is ready for machining. Virtually any shape, size or level of complexity, our bonding expertise will help you keep your project on schedule and on budget. There’s virtually no limit on the size of blocks we can bond. We’ve built and shipped some truly massive tooling blocks for customers around the world. Rely on our bonding expertise to get a rough-shaped tool ready for you to machine. 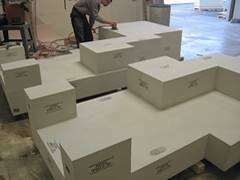 We have the experience to build even the most complex lay up tooling board blocks. This saves you time and money by allowing you to begin machining after receiving your rough shaped tooling block. Custom Composite Lay Up Tools Fast! 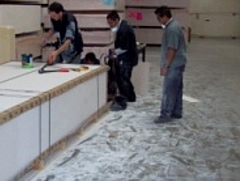 We’ll work with you to design a composite lay up tooling board block that minimizes material waste and machining time. We’re experts at efficiently planning out a material utilization strategy for your composite tooling project. 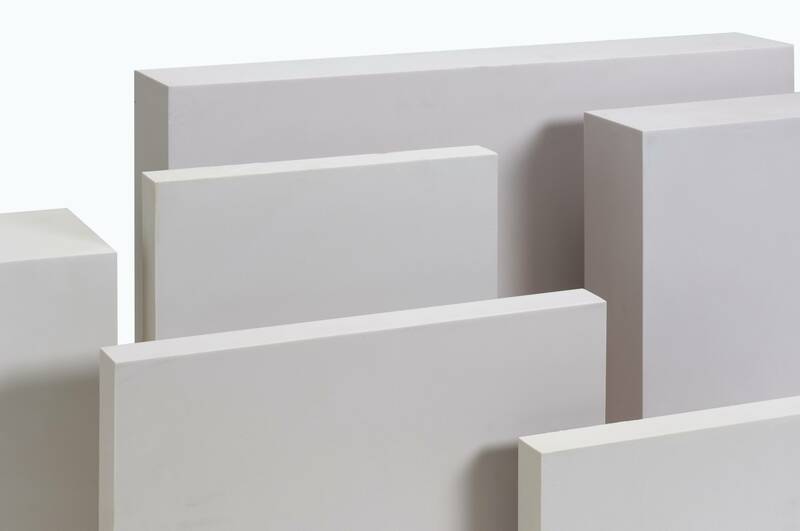 Our large inventory of Precision Board Tooling Board sheets and blocks of all densities enables us to meet virtually any turnaround deadline for your custom tooling blocks. Request a quote on your Precision Board Tooling Board Custom Lay Up Tool Job. If you require immediate assistance, please call Coastal Enterprises toll free at 1-800-845-0745.